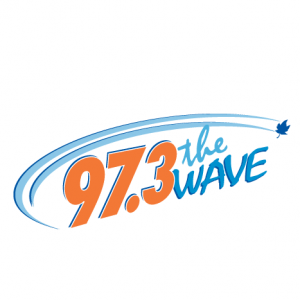 97.3 The Wave, also recognized on air by its call-sign CHWV-FM, is one of the best Canada-based radio station broadcasting in Saint John, New Brunswick. On August 24, 2000, CRTC authorized New Brunswick Broadcasting Co. Ltd. to launch a new on FM frequency 97.3 MHz. On February 19, 2001, The Wave went on the air for the first time as a sister channel of CHSJ-FM with a lite rock format. The slogan of the CHWV is “Saint John’s Best Music” and is controlled by Acadia Broadcasting. On January 1, 2003, Acadia Broadcasting Co. Ltd. and New Brunswick Broadcasting Co. Ltd. combined and adopted the branding “Acadia Broadcasting Co. Ltd.” CHWV-FM now plays the best music from numbers from hot adult contemporary and top 40 formats. The citizens of the St. John can tune their FM radios to the frequency 97.3 to enjoy the top 40 from hot adult contemporary on 97.3 The Wave. While the online fans can listen live 97.3 The Wave Saint John online streaming from the official site. You can get special offers via emails if you are an owner of a Swag Tag. If not, then go to the Wave Swag Tag and sign up and get a chance to win. The visitors can explore the list of the events going to happen in the city. You can browse The Newsroom to read out the local news and the sports news. One can listen the Wave 97.3 on their smartphones by downloading the application from Android Play store, Apple iTunes, and Blackberry app world. Follow The Wave 97.3 Saint John, NB (CHWV-FM) on Facebook and Twitter. Amy Clark, Zach Perry, Dan Coulton and Lori Carle are the noted DJs and on air personalities of the CHWV. A contest runs annually, the winner of which is known as the Saint John Idol. Saint John Idol 2016 can be checked out from the website as well. The visitors can also check out the playlist today, what’s on air and the recently played by browsing the website.